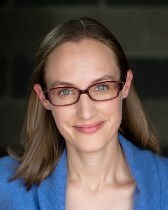 Caitlin Fitz (Ph.D., Yale, 2010) is a historian of early America, in a broad and hemispheric sense. Her work explores early U.S. engagement with foreign communities and cultures, as well as the relationship between ordinary people and formal politics. Her award-winning first book, Our Sister Republics: The United States in an Age of American Revolutions (Norton/Liveright, 2016), shows how Latin America’s independence wars shaped popular understandings of race, revolution, and republicanism in the United States. Fitz has also written about the hemispheric dimensions of the War of 1812 (Journal of American History, 2015), U.S. citizens in insurgent Brazil (The Americas, 2008), Iroquois communities during the U.S. revolution (Journal of the Early Republic, 2008), and antislavery activists in Tennessee (Civil War History, 2006). She currently serves on the Editorial Board of Early American Studies, as well as on the nominations and program committees of the Society for Historians of the Early American Republic. Fitz has written essays, reviews, and opinion pieces for The Wall Street Journal, The Atlantic, and The Los Angeles Times, and she has held fellowships from the Fulbright Foundation, the American Council of Learned Societies, and the Andrew W. Mellon Foundation. Recipient of a Weinberg Distinguished Teaching Award, she offers courses on American history through 1865. Our Sister Republics: The United States in an Age of American Revolutions (forthcoming, W.W. Norton/Liveright, July 2016). “The Hemispheric Dimensions of Early U.S. Nationalism: The War of 1812, Its Aftermath, and Spanish American Independence,” Journal of American History 102.2 (September 2015), 356-379. “Suspected on Both Sides’: Little Abraham, Iroquois Neutrality, and the American Revolution,” Journal of the Early Republic 28.3 (Fall 2008), 299-335. “A Stalwart Motor of Revolutions’: An American Merchant in Pernambuco, 1817-1825,” The Americas 65.1 (July 2008), 35-62. “The Tennessee Antislavery Movement and the Market Revolution, 1815-1835,” Civil War History 52.1 (March 2006), 5-40. Fitz enjoys teaching the first half of the undergraduate survey in American history (through 1865), as well as more specialized courses on the early national United States, the age of revolution in the Americas, and, most recently, the Hamilton musical.